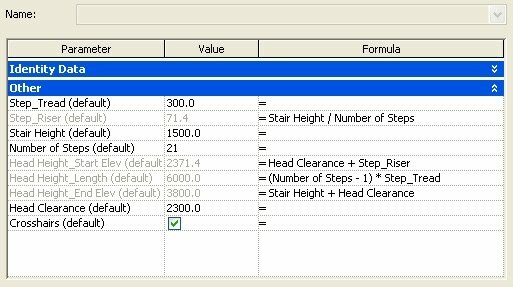 BIM Troublemaker: 2D Stair Design in REVIT?!?!?! Huh? 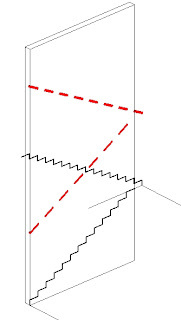 2D Stair Design in REVIT?!?!?! Huh? Maybe this is a step backwards. 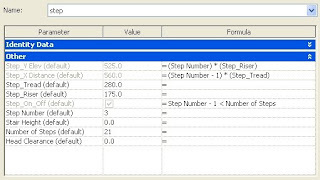 Maybe i just don't understand the program well enough. I am open to such daggars being thrown. Sometimes i have to deal with some pretty tight stairways...and sometimes i have to do scissor stairs...and quite frankly, I haven't found REVIT to be too good with the trial and error this process can sometimes involve. Maybe I'm wrong. Maybe i'll learn some new tricks at AU this year. But for the time being, I need a solution, i know a thing or two about making useful families. 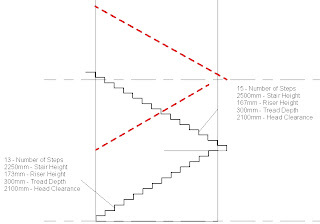 So i made this stupid 2D stair design tool (download links at the bottom of this post). Its driven by the height of the stair and the number of steps to determine riser height. 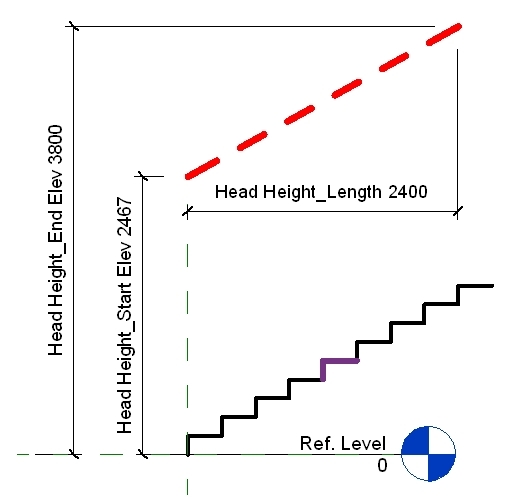 There is also a thick red line to show head clearance. 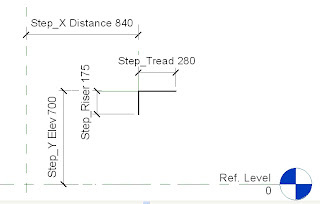 Once i have the whole thing laid out properly, inserting the REVIT Stair objects is a snap by using the ALIGN tool. These are the parameters for the STEP unit. I used shared parameters for everything. 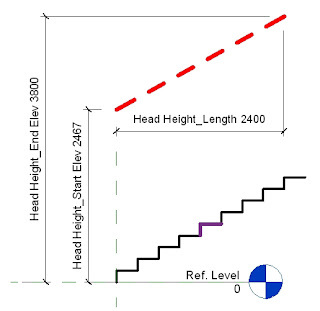 Even though the Height Clearance parameter has nothing to with this family, I pull the information back to this object so the tag works properly. Then i put all these together into a flight. 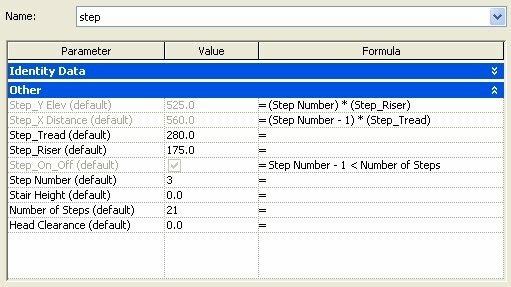 There are some conditional On/Off parameters, the logic of which will be discussed in the FUZZY MATH course at AU this year. These are the parameters for the flight. Its all pretty basic really. 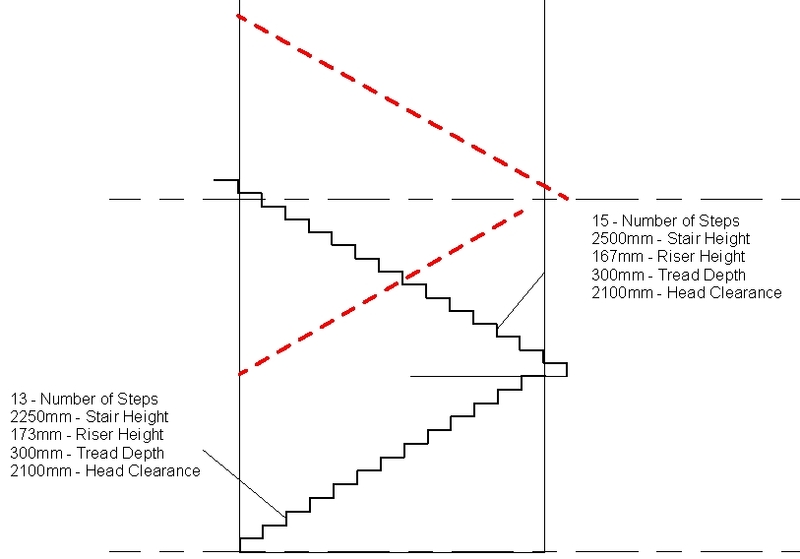 Then i bring it into a project and BANG, i can monkey around with a stair pretty quick and easy. Here is the family in a project. If you are reading this, you already know how to get the family out there and into your library. Enjoy!